You never quite know what you are going to see when you look outside and sometimes, it may be a pleasant surprise. That is what happened to Glenn when he looked outside of his Los Angeles home and saw a little ball of fur in the backyard. 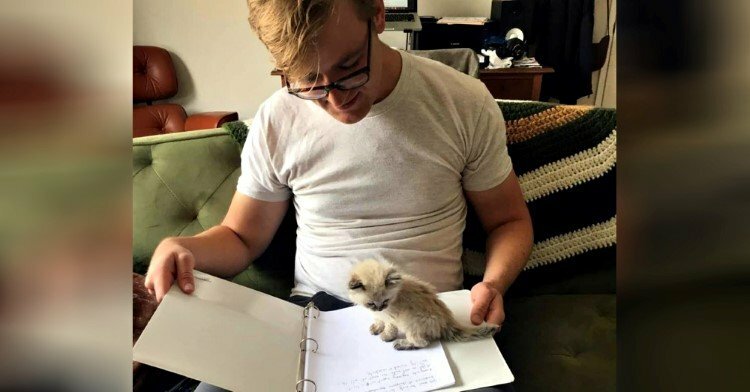 When he went outside to investigate, he found a tiny kitten. He picked her up, took her inside and called for assistance. The people that answered the call were the Friends for Life Rescue Network. 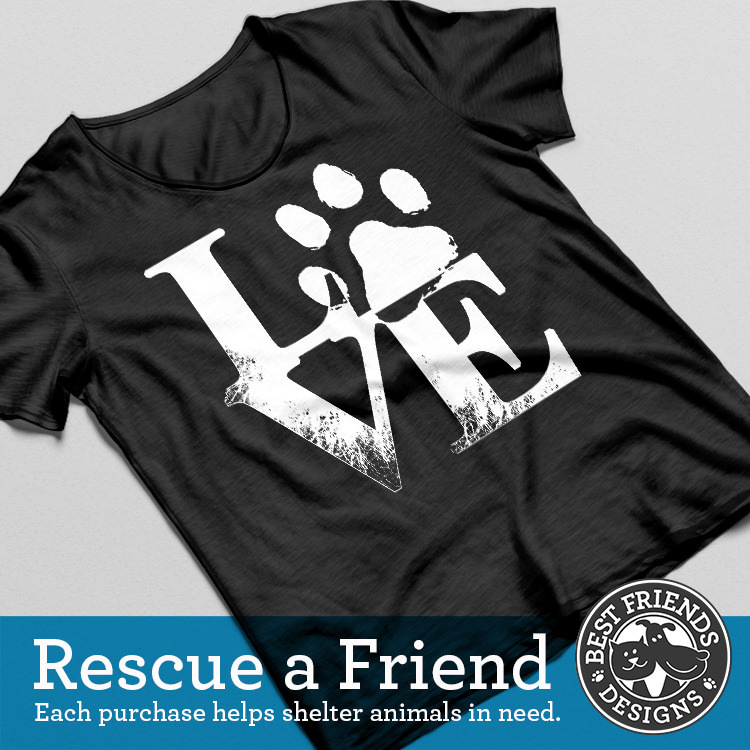 It is a Los Angeles-based animal rescue organization and they do a lot of good in the area. Jacqueline DeAmor, the co-founder of the rescue group, contacted Glenn and got some pictures of the stray. Glenn told her that he was looking for the mother but she was nowhere to be found. 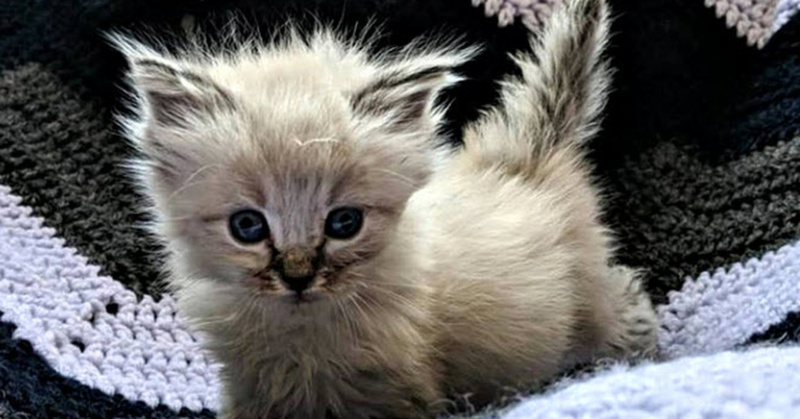 DeAmor was able to foster the little bundle of fur and rehabilitate her. She was dealing with a lot of problems. She was dehydrated, malnourished, lethargic and full of fleas. 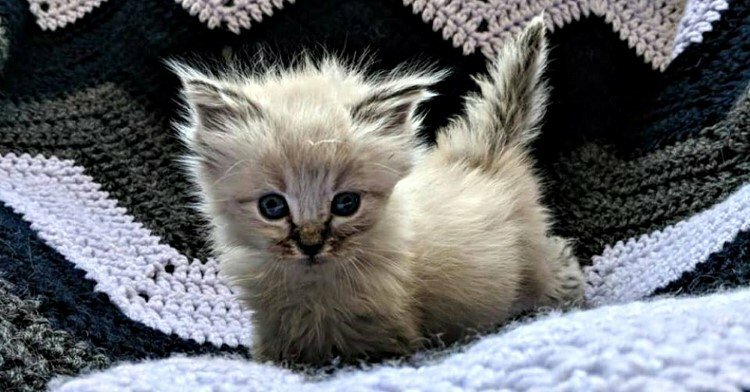 This little kitten must have become separated from her mother a few days before the rescue group showed up. 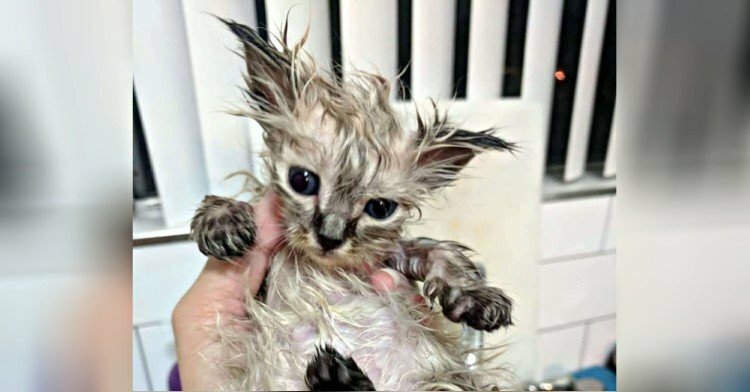 This little adorable kitten was named Echo and they gave her a flea bath with some Dawn dish soap. When she got a little relief, she purred so loud that it caught everyone by surprise! One thing is certain, Echo was quite happy in her new foster home. She loves snuggling with the dad and she follows him around closely. She also enjoys watching him play the guitar and she lends a helping hand. The rescue group took a close look around the neighborhood to make sure the mother cat or any other kittens were not nearby. They enlisted Glenn for assistance. 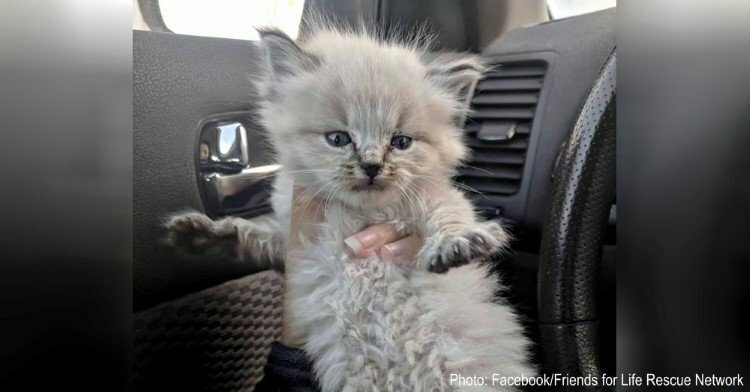 He said that his neighbor had seen a mother cat wandering around the neighborhood so the rescue group is now investigating further. It won’t be long before Echo is on the auction block. She needs a little bit more TLC to rehabilitate fully. For now, she’s enjoying her time in a loving home.